we’re celebrating a day early because charlie has to work tomorrow. we don’t usually commemorate valentine’s day. in the past we’ve either been too busy or exhausted with work to care. plus the history of the holiday (a Christian saint getting executed) is a little gruesome. but i had some time this year, so i woke up early and made waffles. 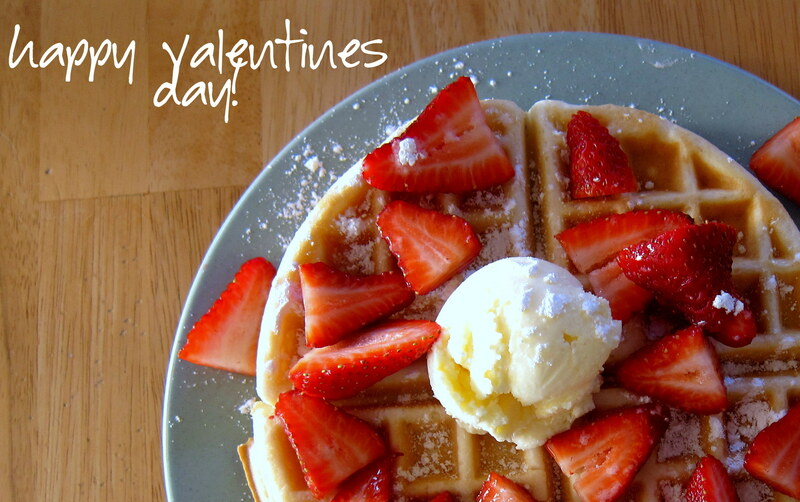 because really, what says i love you more than waffles.